Recently I checked out several Dolphin 7 websites that are either listed in the Boonex Unity Websites section or sites that were mentioned in a Boonex Forum thread. I didn't specifically go on a Dolphin hunt. I just checked a few out that happened to be mentioned or that caught my attention. I don't see the point of naming websites, and I couldn't tell you the name of every single one I checked out for that matter anyway. There were several that either had a lot of promo images, or promo images that were huge. I am talking in the neighborhood of 2 to 4 MB's in combined size. I don't think people realize how many they have added or how large each image happens to be. Maybe they forget to add them up and calculate the total. 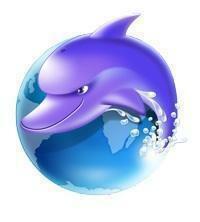 The Dolphin 7 promo will likely be cached in your local web browser because you visit your website frequently. This isn't the case for first time visitors though. When I visit a Dolphin site, and especially one that has a lot of images and large image file size it looks terrible while it's loading. On top of that if you have put 2 to 4 MB's of image files in the promo it will load very slow. Even with a very fast internet connection. Clear your browser cache and visit your homepage to see how it loads as a first time visitor and you will see what I mean. Now of course everyone doesn't load up on the promo images, but there are more Dolphin 7 sites out there that do than I was expecting. I know it looks kind of neat and all, but try to keep the number of image down and/or the file size of each. I don't know why, but I have noticed a few sites that use promo images like: 500 KB, 700 KB, even 900+ KB's per image. Add that up for 6-10 images and it gets out of hand fairly quick. If you are not sure how many promo images your website is using or how large each one is take a moment to check them out when you get a chance.